Dr. Hoy recently found out about the passing of one of his mentors from medical school, Dr. Charles W. Bradley, Class of 1949. American Podiatric Medical Association Past President (1974–75) Charles W. Bradley, DPM, resident of Burlingame, CA, passed away in March 2013. Dr. Bradley practiced podiatric medicine for 60 years in Brownwood and Beaumont, TX, and San Francisco and San Bruno, CA, retiring at age 86. He will be remembered for his kindness and hard work. 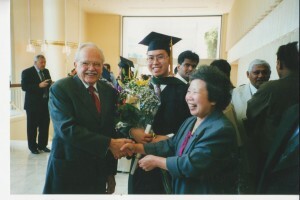 His many contributions to the profession include serving as associate clinical professor, chief of staff, chairman, and trustee of the California College of Podiatric Medicine; founding member and chairman of the board of the Podiatric Insurance Company of America; past-president of the California Podiatric Medical Association; and vice chairman of the National Academies of Practice. 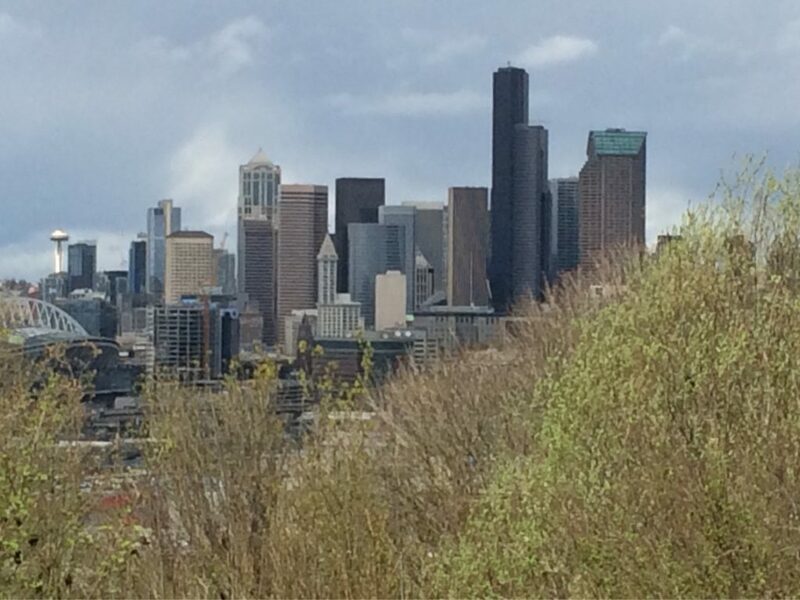 He was also on the podiatry staff at Peninsula, Sequoia, and St. Luke’s Hospitals. Dr. Hoy met Dr. Bradley in 1996 at the American Podiatric Medical Association National Meeting in Orlando when he was the Delegate from the Ohio College of Podiatric Medicine to the American Podiatric Medical Students Association. 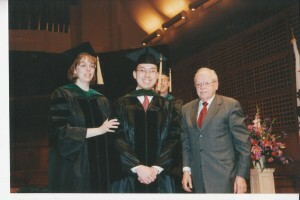 Dr. Bradley’s mentorship paved the way for Dr. Hoy’s success to finish medical school at the California College of Podiatric Medicine after the passing of Dr. Hoy’s father that year. Dr. Bradley gave a great framework and historical perspective to stress the unity and integrity of the profession. Dr. Bradley was also a friend of the family. 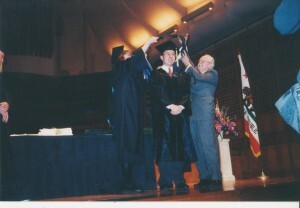 Dr. Hoy chose him to perform the hooding at his graduation in 2000. Dr. Bradley stayed as a guest of honor at Dr. Hoy’s graduation banquet. The two reunited in 2008 at the American Podiatric Medical Association National Meeting in Honolulu. Dr. Bradley’s longevity and commitment to the profession, his kindness to patients and students, as well as support for equality have left a legacy to follow.